Millpack Sterilisation Pouches allow the sterile storage of instruments, drapes, swabs and dressings. They each contain a sterility test strip so you can always be sure, and have an inner seal which helps prevent rips and tears from sharp instruments. Suitable for steam and EO sterilisation! Thumb notch for easy opening. Heat-sealed upper corners helps prevent contaminants from entering the pouch along the opening seal. Re-inforcement seal adds greater strength, particularly useful when the pouch is used with heavier equipment. Triple edge seal secures the pouch and prevents separation or tearing by instruments. Ethylene Oxide (EO) Indicator Dot. 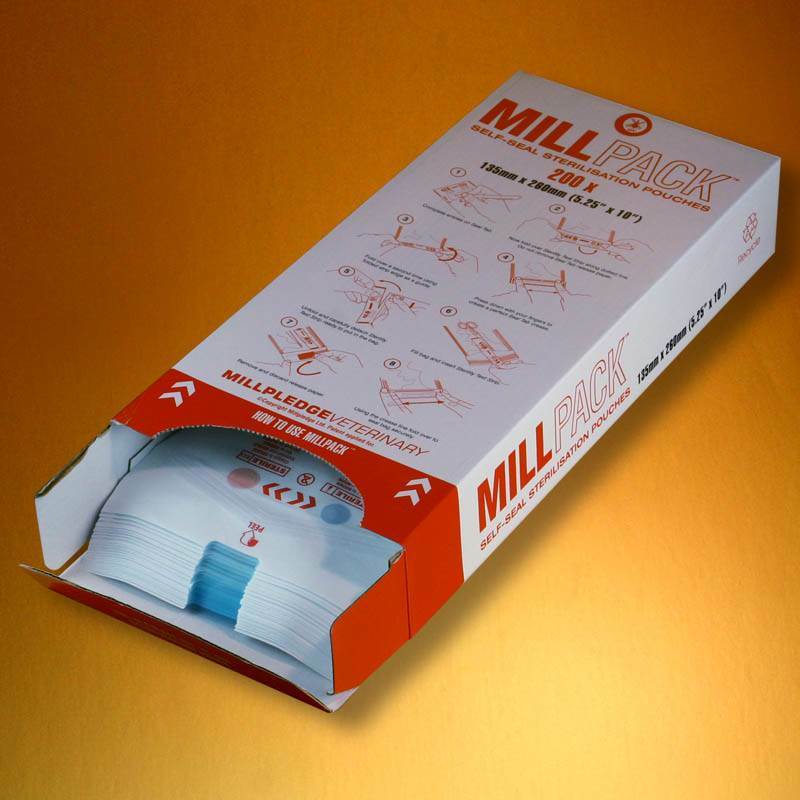 There are currently no questions for Millpack Sterilisation Pouches - be the first to ask one!